I was born in Bristol, Southmead hospital to be exact and grew up in Easton which is next to St. Pauls. As a kid I listened to reggae due to my mum being Jamaican. She came over to England as a nurse. Soul was also a heavy influence in our household. I started out as a Toaster, which was the old term for MC, when I was about eleven. The first famous artist I ever saw was Billy Boyo at the original Trinity Hall in Bristol, but don’t ask me the year because I was just a kid and I sneaked out to go, but it was sometime in the early eighties. Back then it was mainly Sound Systems and I saw many. Coxson and Saxon, but the first well known one I saw was Jah Shaka. With the appearance of Hip-Hop in the early eighties the first act that influenced me that I saw live was Run DMC supported by Public Enemy and that was in 1988. The wild bunch definitely inspired me as a young up and coming MC. I was motivated to write songs by Peter D. Rose (Smith & Mighty) because I was good friends with his younger brother Roger. Me and Roger would practice our freestyles on Peters set whenever he was out but Peter didn’t mind as he was always interested in sounds and beat making. He told me to start writing my raps down and eventually introduced me to Smith & Mighty in summer of 87. Through Ray Mighty and Rob Smith I met Krissy Kris. 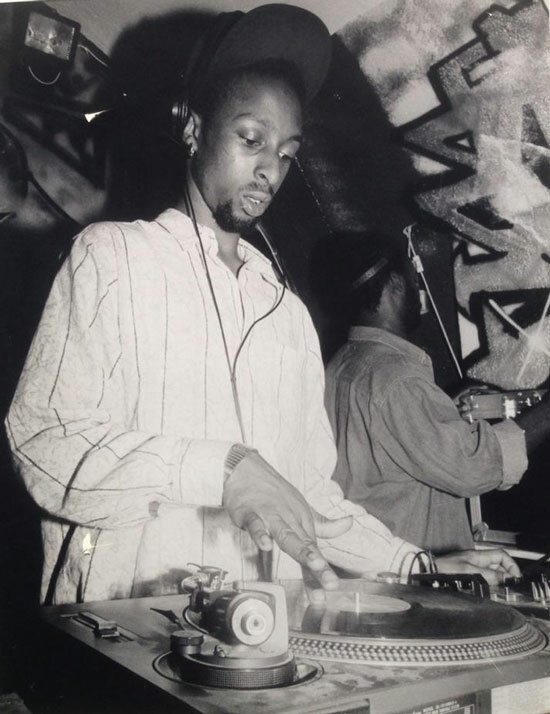 I already knew DJ Lynx because we both attended the same youth centre so when Rob and Ray said that they needed cuts I took Lynx over to their studio in St. Pauls and the merging of 3PM was born. Smith & Mighty’s studio was a great place to meet other artists, so as a kid I would hang out there all the time. I started to make music with 3PM while still doing projects with Smith & Mighty as a solo artist. We did a lot of gigs as 3PM, we went all over… Along the way some people have told me not to be too honest with what I wrote in my poetry and that really pissed me off… I still write poetry and make music but after over 25 years of MC ing I feel that I have nothing to prove anymore but I do still love the buzz and energy of playing out. I now live in Wales with my family, working on some tracks with Sir Beans OBE called Rhyme Stoppers plus I’m involved in a project called the Souljah Clique with a video on YouTube called Stand Tall. There are several tracks on YouTube with Sir Beans OBE, look out for a track called FOLLOW THE STAR and DIVERSITY on YouTube.